Since 2002 Bordeaux, now listed as a UNESCO World Heritage Site, has been transformed profoundly. 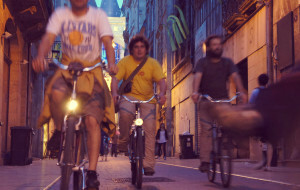 As part of the process the city has opted for a soft urban transportation system with the new tramway referred to as “Le Tram”, combined with a significant development of the network of bicycle paths. 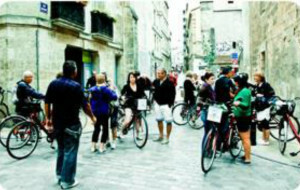 Greater Bordeaux, boasting more than 400 miles of bicycle paths, is now in the major league of the green cities in France, inviting each and everyone for a bicycle ride. 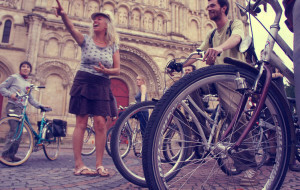 Accompanied by our highly trained and experienced guides, you will be charmed by the spectacular collection of monuments and the natural beauty of Bordeaux as you bike along the quiet streets. A true voyage back in time. 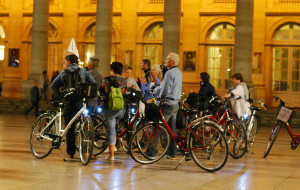 We invite you to explore Bordeaux in a different way, off the beaten tracks, discovering surprising and delightful sites. 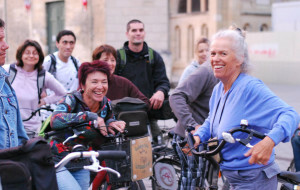 You will love the excellent bicycle paths and quiet streets, uncovering strange places, quaint neighborhoods, village like squares in dead ends, and bucolic roads winding their way through urban vineyards. Outside Bordeaux, enjoy the charming little villages and the prestigious châteaux ruling over large pieces of vines striped land, only a short distance from the city center. The world’s wine capital Bordeaux was born at the crossroads of a river and a road. What else to do than to follow “La Route des Vins” which winds through the cheerful countryside where you will admire as pearls on a necklace all the prestigious châteaux that made Bordeaux. We will guide you through an ocean of vineyards in the Medoc, between marshes and pinewoods, or through the lush countryside of “Les Côte de Bordeaux” on the way to Saint Emilion, one of the most beautiful villages of France. 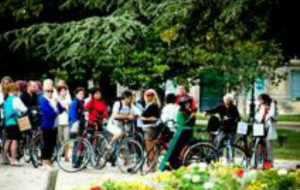 You will be taken aback when riding down the stupendous coastal road of Blaye or when discovering the majestic silhouette of a ruined abbaye or an impressive fortress nestled by a bend of the river Garonne, in the “Entre-deux-mers”region. 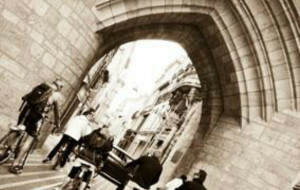 Explore our offers under “Guided tours” and take your pick. We look forward to welcoming you to Bordeaux, the wine capital of the world. 4 rue Maubec, Bordeaux - FRANCE. Tél. +33 (0)6 08 72 01 95.